Make the transformation to an all-flash data center, by consolidating your mainstream enterprise applications onto a scalable and economical all-flash storage platform. Consolidate everything from databases, virtual servers, VDI, and line-of-business applications onto IntelliFlash HD-Series and HD-Series all-flash arrays. Go from pilot to production with a few clicks of a button, scale your storage infrastructure with ease, and achieve substantial savings in data center footprint and operational efficiency. At the core of IntelliFlash HD-series arrays is the same software architecture that powers Western Digital’s award-winning portfolio of NVMeTM-flash and hybrid flash arrays. The IntelliFlash platform brings several years of innovation in flash management, data persistence, and data management, enabling IntelliFlash HD-series to deliver unprecedented levels of consolidation, simplicity, and economics. Enterprises that have deployed multiple IntelliFlash arrays to run any and all of their application workloads are able to consolidate them onto the same array to achieve better economics at scale. The Performance you want - IntelliFlash HD-series arrays can handle your most intense workloads. The Capacity you need - Performance means nothing if you don’t have the space to use it. 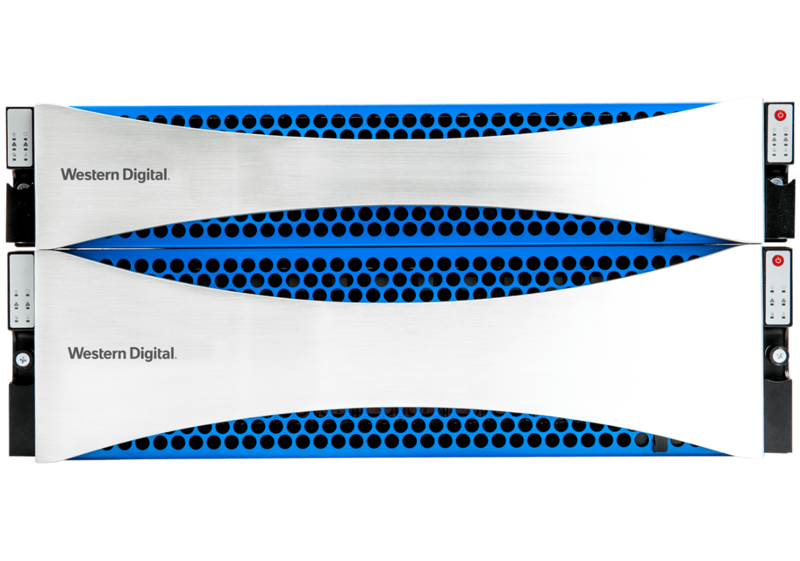 IntelliFlash HD-series delivers petabytes of capacity in a single rack. Unmatched Economics - With industry-leading densities, you will find the perfect balance of performance and economics. Simple Scaling - As needs change, you can add all-flash expansion shelves. Unmatched Compatability - With multiple certified configurations with Oracle, Microsoft, VMware and many others, IntelliFlash HD-series is ready for your IT environment. Download the IntelliFlash HD-Series Datasheet (PDF).